My table tennis question is about coaches giving advice to players. In a normal league game, is there a rule which prevents a coach from offering coaching tips to his player whilst the match is in progress? 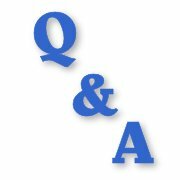 Ewan, thanks for your question. It all depends on the rules adopted by your league. 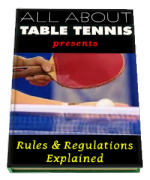 The basic table tennis rules do not deal with giving advice to players so, by default, it is allowed at any time. However the additional Regulations for International Competitions do deal with giving advice to players, and it is only allowed at specified times. However, this Regulation was amended with effect from 1 October 2016. "Players may receive advice only during the intervals between games or during other authorised suspension of play, and not between the end of practice and the start of a match. If any authorised person gives advice at other times the umpire shall hold up a yellow card to warn him that any further such offence will result in his dismissal from the playing area." "Players may receive advice at any time except during rallies provided play is not thereby delayed; if any authorised person gives advice illegally the umpire shall hold up a yellow card to warn him or her that any further such offence will result in his or her dismissal from the playing area." The International Table Tennis Federation (ITTF) is the "International" governing body of table tennis. All rules and regulations made by the ITTF are for ITTF events but they also form the basis for all organised table tennis around the world, and therefore they are the rules which I discuss here on my web site. However, each National Association (in your case the English Table Tennis Association) can choose which of the additional ITTF Regulations they wish to adopt, and can also adopt different regulations for different competitions. Local leagues (if they are affiliated to the English Table Tennis Association) are directed by the ETTA to adopt certain regulations - such as the make of table tennis balls and table tennis racket coverings which can be used - but are free to choose whether to adopt any of the other Regulations. So, if your league have decided to adopt Rule 3.05, coaching players is only allowed in accordance with that rule, but if they have not adopted Rule 3.05 then coaching is allowed at any time.